Tonight at CinemaCon in Las Vegas, Disney screened a short clip from Thor: Ragnarok, as well as showcasing some never-before-seen concept art from the film. 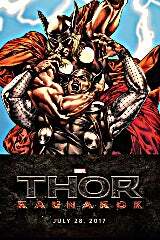 According to ComicBook.com's Brandon Davis, who is in the panel, the footage featured Thor in the Sakaaran gladiator arena, standing on the shoulders of the Incredible Hulk and battling for their lives. The hero will also apparently don the winged helmet that's so often missing from the cinematic universe, where action scenes often have practical concerns that trump the desire to have the full costume in play. In Marvel Studios' Thor: Ragnarok, Thor is imprisoned on the other side of the universe without his mighty hammer and finds himself in a race against time to get back to Asgard to stop Ragnarok – the destruction of his homeworld and the end of Asgardian civilization – at the hands of an all-powerful new threat, the ruthless Hela. But first, he must survive a deadly gladiatorial contest that pits him against his former ally and fellow Avenger – the Incredible Hulk! Thor: Ragnarok is directed by Taika Waititi with a screenplay by Eric Pearson. The film stars Chris Hemsworth as Thor and Tom Hiddleston reprising his role as Loki. They are joined by Cate Blanchett (Hela), Idris Elba (Heimdall), Jeff Goldblum (Grandmaster), Tessa Thompson (Valkyrie), Karl Urban (Skurge), Anthony Hopkins (Odin), Sam Neill, Ray Stevenson (Volstagg), Tadanobu Asano (Hogun), Mark Ruffalo (Bruce Banner/Hulk), and Benedict Cumberbatch (Dr. Stephen Strange). 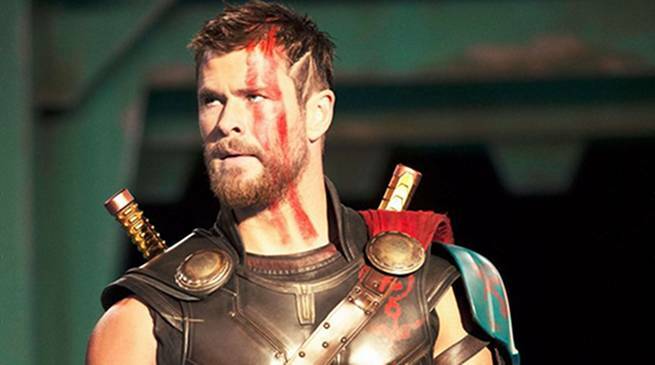 Could Thor Lose His Arm In Ragnarok?